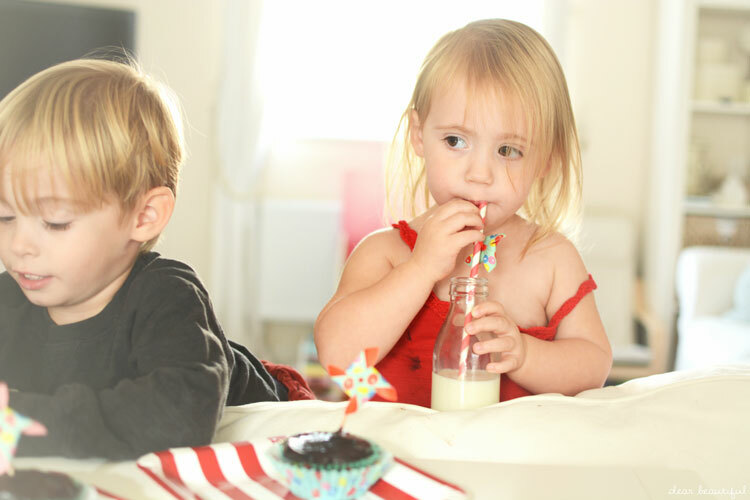 With it being half term, these two were enjoying a lot of lovely sibling bonding time. The introduction of preschool into our lives has been fun, but its nice to have a break from it for a week, and get back to the important business of wall-to-wall playing with your best friend. So with it being half term, I decided a special treat was in order. 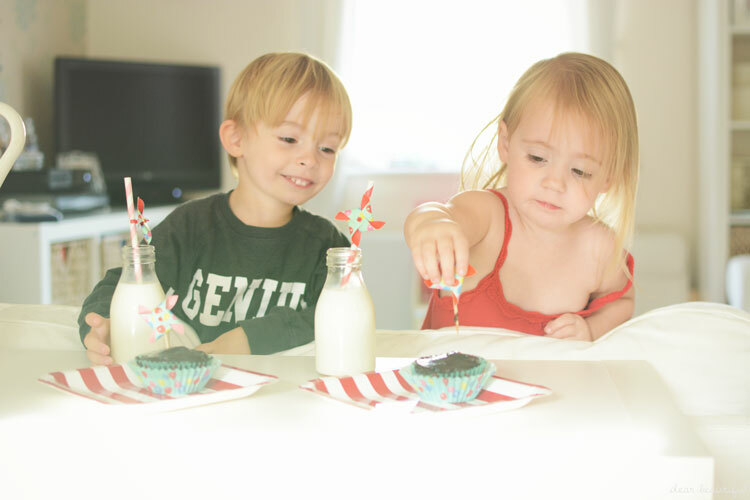 So I baked devils food cake cupcakes, and set up a special little post nap snack for my two favourite people. And their happy little faces certainly didn't disappoint. 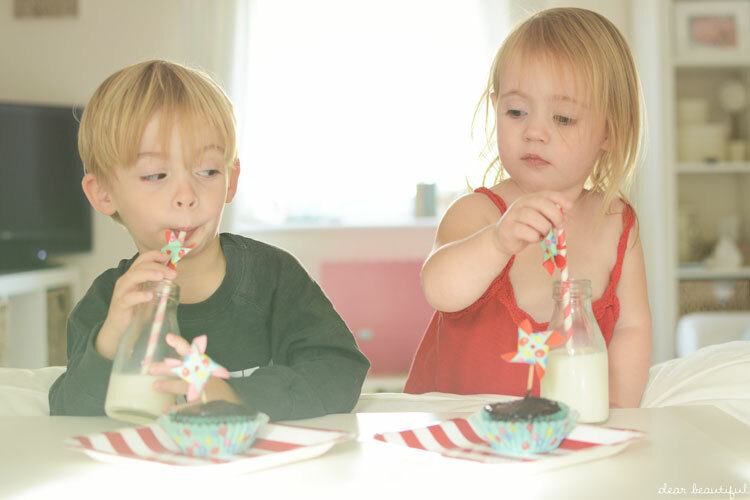 They loved their bottles of milk with windmill straws, and their matching chocolate cakes. And I loved watching them. 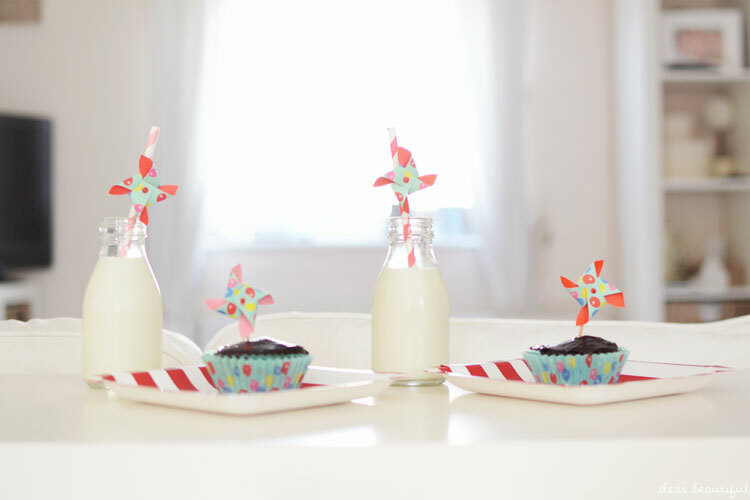 We were kindly sent the bottles, straws, cake cases and decorations, and plates by The Little Things, and simply asked to have some fun with them, who can say no to an offer like that? 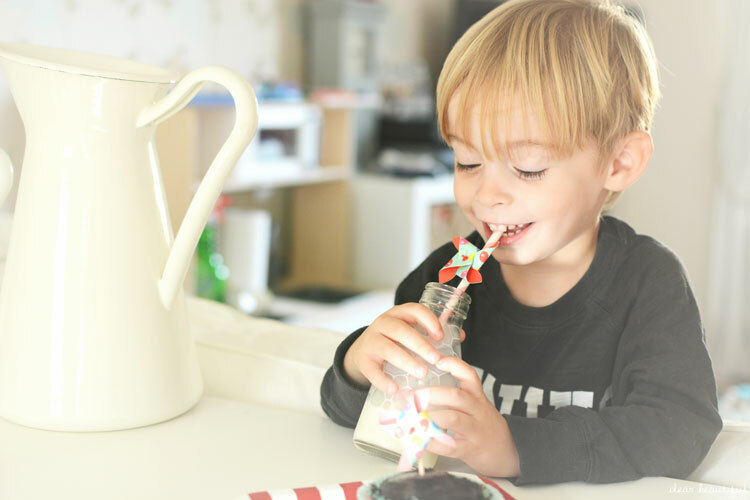 Their site is crammed full of gorgeous party things and I'm already planning the little man's birthday party for next year based on some of the lovely things on there.